This is the first time since 2009 that Aston Villa start with the same manager that finished the previous season. Paul Lambert has never shied away from the fact that Villa are still in a transition period. The club is trying to ship out all the overpaid ego’s and replace them with hungry, youth and players that want to play football. 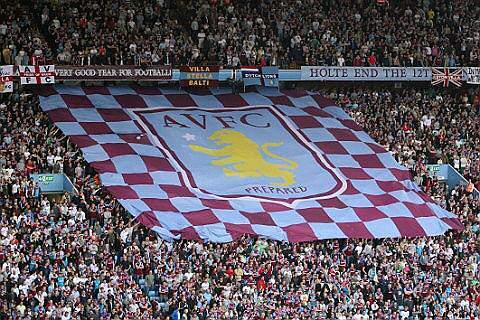 Last season, Villa were flirting with relegation all throughout the year, thankful the club survived with 5 points. This year however, it appears as though the clubs fortunes are likely to change and here are a few reasons why. Aston Villa conceded 69 goals last season, that’s really unacceptable. However this season, Villa will most likely improve. Firstly, Guzan has signed a new deal, the keeper pulled off a number of saves and if it wasn’t for Guzan, Villa would’ve conceded a lot more goals. Secondly, the young defence now has a season of Premier League football under their belt. This experience has definitely helped the development of Baker, Lowton and Vlaar. Communication will also improve between the centre-backs, Vlaar has been in England for a season now and this season he will have no excuses for poor communication between him and his defensive partner. In pre-season it appears as though Baker and Vlaar work best together. Lastly, Villa have signed highly-rated centre-back Jores Okore from Danish side Nordsjælland, he will add pace and strength to the defence. Paul Lambert has signed 6 new youth players and as a result, this has boosted squad depth and competition for players. This is a good thing, because it means that no ones starting position is guaranteed (unless you’re Benteke). Steer has been brought as a second keeper, but he’ll also be keeping pressure on Guzan. Bacuna is a very versatile player, he has played as a winger, attacking midfielder and as a right back in Pre-season. Helenius brings a new dimension to Villa’s attack, it’s looking likely that he’ll be playing behind the forward. Luna, Tonev and Okore appear to be vying first team spots. Despite the fact that Lambert’s oldest signing, Tonev is 23 years old it may surprise some that the word ‘experience’ is on this list. I am talking about a different type of ‘experience’. Aston Villa struggled last season, no question about that. But many young players featured last season and the relegation battle has helped development. Additionally, the likes of Lowton, Baker, Bennett, Westwood, Weimann and Benteke all have got a premier league season of experience under their belt. Aston Villa have a great attack, Weimann, Benteke and Agbonlahor scored 35 goals amongst each other in the Premier League last season. In total, the trio scored 47 goals last season. Now with an improved midfield and more players to call upon, Aston Villa will most likely be scoring more goals this season. This player is so good and vital that he deserved his own category. Benteke scored 19 goals last season for Aston Villa and was involved in nearly half of the goals scored by Aston Villa, that’s the best record in the league. He has now signed a new contract and looking at his pre-season form, it appears as though he will have another great campaign. Agreed. It’s all looking very encouraging. I’m quite looking forward to this season. We just need to keep our heads if we get off to a poor start. Good summary of how we stand. I get the feeling that Okore has come in to be first choice CB. As far as first three matches go, if we get anything from Arsenal and Chelsea it’s a bonus, but I really think we will take Liverpool. Can’t wait for Saturday. UTV. Does benteke not miss first game cuz of red card at Wigan? Really optimistic about this year, no reason we shouldnt finish in the top 10 if not higher. Kiyotake looks like he would be a great addition to the team…fingers crossed that happens. That is the one real position that we need to strengthen. The only annoying thing is that we could play really well in the first 3 games and only come away with 1 or 2 points. Toughest start I can ever remember!! Fantastic post Adam good summary of our situation going into this new season.We will do better this season if the defence can sure itself up.Clean sheets are what’s required that’s the baseline if we can keep them we will be top 10 and then some.UTV Villa Family…. So Rotherham at home in the League Cup. The team we beat to win the first League Cup final. Is it an omen? could be an omen rotterdam82, im seeing the similarity between this seasons kit and that of the 80-82 years as a positive omen too. the best thing we’ve got going for us is that after last season we’ve got a load of young players who’ve had more prem experience in one season than most their age would get in 2 or 3 seasons, nothing should scare them after last year even starting the season with arsenal and Chelsea away, not to mention Liverpool at home.